This nature area is a combination of Walloon South Bay Association Preserve, Noel Preserve and Hargreaves-Matthews Preserve. 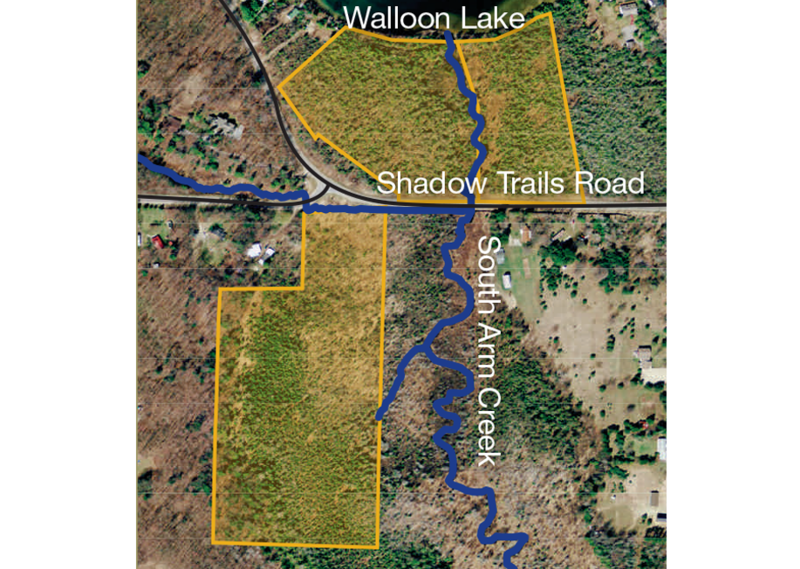 This area contains the first property to ever be donated as a preserve to the Conservancy; the subsequent additions helped to ensure protection of these critical wetlands which help filter and clean the water that flows into Walloon Lake. Thanks to many donors, this critical habitat and water quality feature is protected forever.